Evening! I've been crafting, quietly, in my corner! 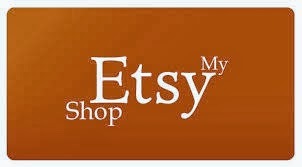 I have finished all my current custom orders, so, now it's back to crafting, just for fun! 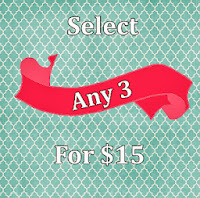 I set up a new listing in my store, three cards for $15... Hopefully, it will help move some more stock! I started with the image, which I'd stamped a few days ago, it's from Some Odd Girl, and I coloured her up, using my Spectrum Noir Markers. I used the background paper (Echo Park) as the main inspiration. 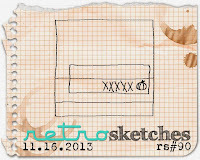 I added some doodling, and some vellum, with a strip of Kraft card, which I'd run through the Big Shot to emboss. I popped the main image panel on, then attached my sentiment, which is in a die-cut speech bubble (MFT Die-namics), I added three silver rhinestones to finish it off. Gorgeous card, Jess! Love the doodling...it's a perfect touch to your bright and sweet card! 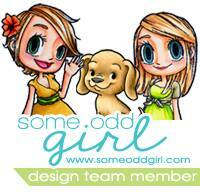 Thanks for joining our challenge this month at Some Odd Girl! This is adorable! She's colored so perfectly. :) Thanks for playing along over at the Simon Says Stamp Wednesday Challenge Blog! Great card, I love your SOG girl ! Great card and I love the bright colors! Thanks for playing along with us at Some Odd Girl! Lovely card! I love how you colored your image. Super cute! Thanks for joining us at SOG! See you again soon!